FILE PHOTO: Treasury Secretary Steven Mnuchin walks through the lobby of Trump Tower in New York City, U.S., August 15, 2017. 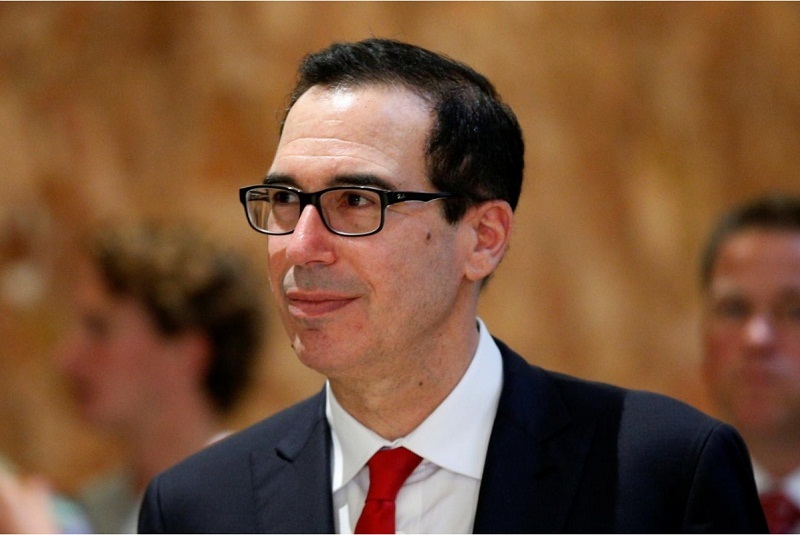 WASHINGTON - U.S. Treasury Secretary Steven Mnuchin said on Tuesday that if China doesn’t follow the United Nations sanctions approved on North Korea, he will seek new financial sanctions on Beijing to cut off access to the U.S. financial system. U.S. Treasury Secretary Steven Mnuchin said on Tuesday that if China doesn’t follow the United Nations sanctions approved on North Korea, he will seek new financial sanctions on Beijing to cut off access to the U.S. financial system.